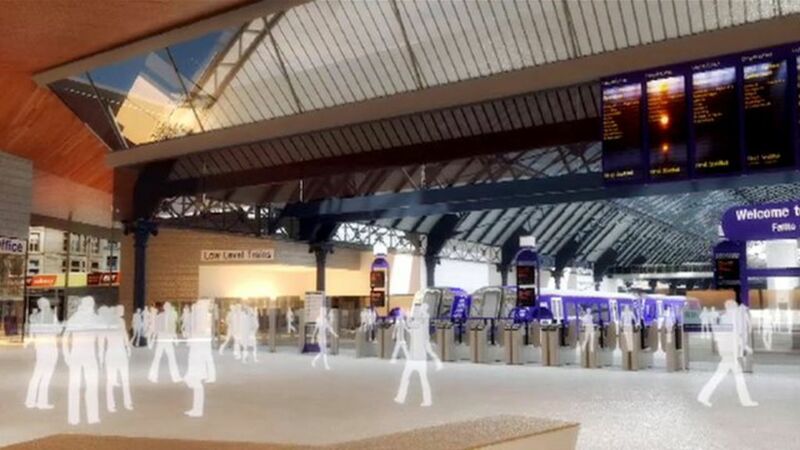 The public has been invited to give its views on a £104m redevelopment of Glasgow's Queen Street station. Network Rail has unveiled new designs for how the station will look as it begins an initial three-month process to gather passenger and public views on the project. Queen Street station is Scotland's third busiest station with 20 million passengers a year. The work is due to begin in 2014 and will be completed by 2019. 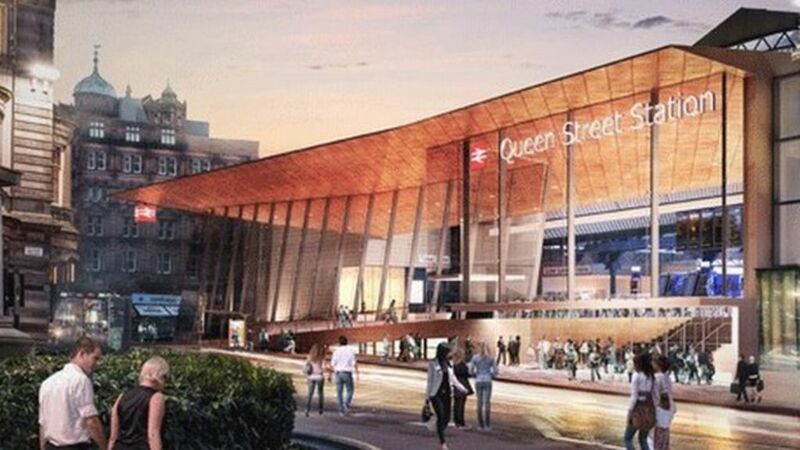 The public is asked to give its views on a new £104m redevelopment of Glasgow's Queen Street station. An artist's impression of Glasgow's Queen Street railway station after its multi-million pound refurbishment. A class 37 stands at Queen Street between turns in 1989 with empty stock for Cowlairs Carriage Sidings as a DMU leaves the station on the right. Class 27s waiting to take trains out of Glasgow Queen Street in March 1974. The passenger concourse at Glasgow Queen Street station in September 2005.